A summary of the various barnwood and barn board options available through Architectural Timber and Millwork. Barnboard is available in a number of species and sizes. Pine, oak, hemlock and spruce are common species routinely available. We can prepare the material with the original surface and patina or skip dress the boards, leaving some of the old saw marks as shown below. 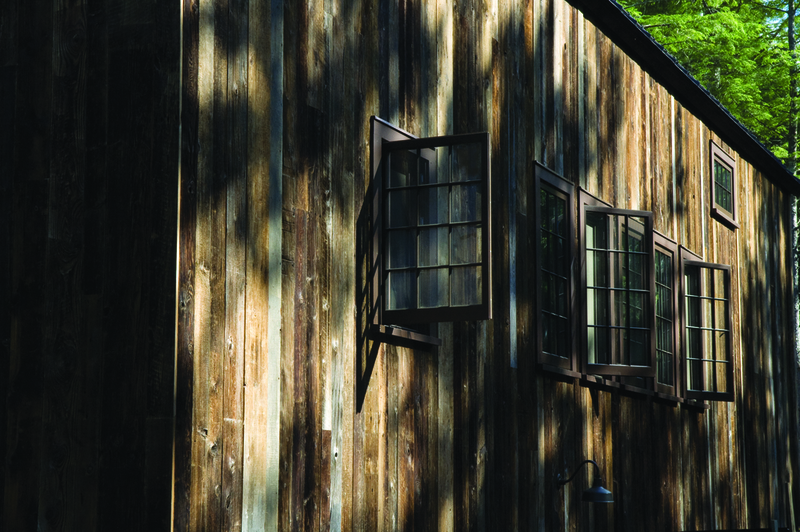 Prepared according to order, barnboard is excellent for many applications requiring a rustic or weathered appearance. Potential uses include exterior siding, interior paneling and flooring. We are able to provide board and beamstock in weathered silver or rich brown patina surfaces.